Pneumatic Trough is made of polypropylene and are autoclavable. These can be used for a wide range of purposes including storage, sterilizing & drying labware etc. 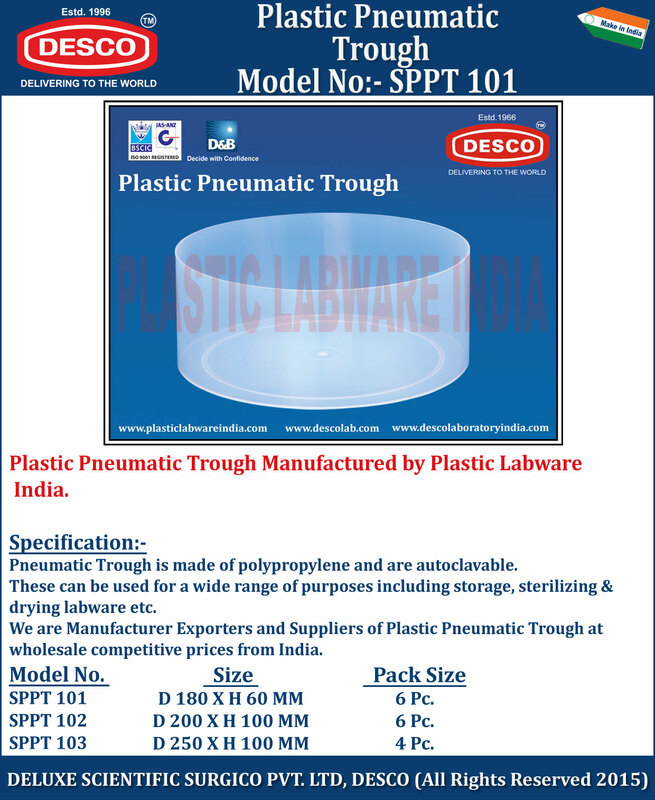 We are Manufacturer Exporters and Suppliers of Plastic Pneumatic Trough at wholesale competitive prices from India. SPPT 101 D 180 X H 60 MM 6 Pc. SPPT 102 D 200 X H 100 MM 6 Pc. SPPT 103 D 250 X H 100 MM 4 Pc.